I’m not much of a gambling woman, but in this case, I’m willing to bet that no one ever asked you the following question before. Our modern lifestyle makes maintaining our healthy belly bugs… known as intestinal or gut flora… nearly impossible. Everything from stress to diet, to prescription drugs, can wreak havoc with the delicate balance in our tummies and intestines. You see, right along with the good bugs in your digestive tract you’ll find bad ones like E-coli. When your gut flora gets out of balance the bad bugs flourish, and this leads to inflammation and lowered immunities. And, boy, do we pay the price! Through infections, bloating, gas, and irregularity, your body lets you know your gut flora is out of whack. But one study, published in the British Journal of Nutrition, uncovered yet another way that your body may be signaling that your gut flora is out of balance. Believe it or not, it’s a big belly! The researchers found a surprising connection between gut flora and obesity. According to the study, there’s solid evidence that overweight folks are likely to be severely lacking in the good gut bugs they need for a healthy digestive system. According to Dr. Caroline Karlsson, a researcher at Lund University, regular daily consumption of specific probiotic bacteria called Lactobacillus plantarum could literally prevent obesity and reduce low-level inflammation in the body. Dr. Karlsson fed a group of rats this bacterium from before birth all the way through to adulthood. Her control group of rats got the same high-calorie food but no supplementary Lactobacillus plantarum. Well, to start with, the rats that received the supplement put on significantly less weight. In addition, they had a much richer and better-composed set of healthy gut bacteria than the control group did. That meant that they were much better equipped to fight off infections and maintain healthy digestion. In stark contrast, the control group of rats had higher body weights, more fat in their bodies, and higher levels of inflammation. But that’s not the only evidence we have the probiotics can help us beat the battle of the bulge. Preventing obesity is one thing. But what about if you’re already carting around a few too many pounds and you want to lose weight? Lactobacillus rhamnosus may be the answer. When Canadian researchers placed a group of overweight men and women on a typical weight loss diet for 12-weeks, followed by a 12-week maintenance period, the result blew everyone away. The women taking the probiotic lost TWICE as much weight as the unlucky ladies who didn’t get the supplement. And to target belly fat you might want to try a probiotic containing Lacotbacillus gasseri. In a study, published in the British Journal of Nutrition, these good bugs proved they excel when it comes to trimming down our middles. In 12 weeks, volunteers lost 8.5 percent of their belly fat. Plus there were significant drops in BMI, waist to hip circumference and body fat mass in folks taking the probiotic. While the control group didn’t lose weight and saw none of these changes. Our understanding of our gut health, or microbiome, is still in its infancy. New studies are launched daily. And we’re constantly learning more about probiotics and how they can help us get, healthy… and stay that way. 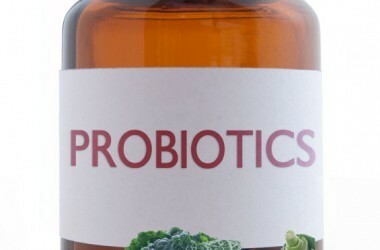 When it comes to weight loss, experts believe probiotics could help you in two ways. First, they may trigger the release of an appetite-suppressing hormone called GLP-1. GLP-1 makes you feel satisfied so you end up eating less. But it can also help you burn through more fat. And second, the good bugs could boost your level of ANGPTL4, a hormone that can lead to less fat being stored in your body. We have a lot more to learn. But there’s no reason to wait to start taking advantage of all the benefits probiotics have to offer, including helping us stay slim and trim. Remember…a happy and healthy gut could be the key to a LEANER, healthier and happier you. One of the best ways to get the probiotic for you is to switch from pasterized milk to raw milk. I have been drinking raw milk since 2004 and the benefits are very good. My son had migrain headachs for years. After coming off pasterized dairy products and going to raw milk his headachs became non exestent. No chance , in Scotland raw milk is banned by law. Nothing about how difficult it is to find a SUPPLEMENT with it. I found only one!!!!!! And the best price is on Amazon. Not too bad at under 30 bucks and that included shipping. Other places are generally around 28-31 bucks without shipping…. The other uses from L. Plantarum are for I.B.S. and Crohn’s disease, from what I read…. So there are some tasty sources for this Lactobacillus. But who knows how much you are getting????? Best to take a supplement to be sure.